I've been working on and off the last few days on getting a button set up to turn on and off a GE Link light connected to the Philips Hue bridge. The reason why is to preserve the dim setting on the light bulb. When you turn on the light with the switch on the lamp, it turns the light on full brightness. That's perfect for some situations, but when I get up to nurse and change a diaper, I want to keep the room as dim as possible to keep the baby as asleep (or sleepy). Typically we have the lamp set on the lowest setting. Unfortunately that isn't something that can be controlled with the physical switch on the lamp. I have been leaving the light on most of the night, but I want the baby to get used to sleeping in darkness. That is why I wanted to get a remote switch (or button) set up to turn on and off the lamp at the dimmest setting. So I opted to create a python script to run on the Raspberry Pi. I knew I had all of the components, which was great. I didn't really want to buy anything since I have plenty of miscellaneous switches and buttons for arduino projects. My only real issue is that the plastic connectors on the wire are a bit too high when plugged into the GPIO pins on the Raspberry Pi. Which means I can't quite close the case. I'm going to have to get a dremmel or a knife to cut down the plastic a bit to close the case. But that's a project for tomorrow or the next day. I also have a larger button I think I am going to wire up to make it easy to push at 3am in the morning. If you are interested, I have the files and a brief description up on github. I spent part of the day (and yesterday) off and on working on a python script to run on the Raspberry Pi to remotely turn on and off a light in the baby room. I originally wanted to use an arduino, but I couldn't find an easy way to have it interface with python via wifi. So I opted for the Raspberry Pi instead. 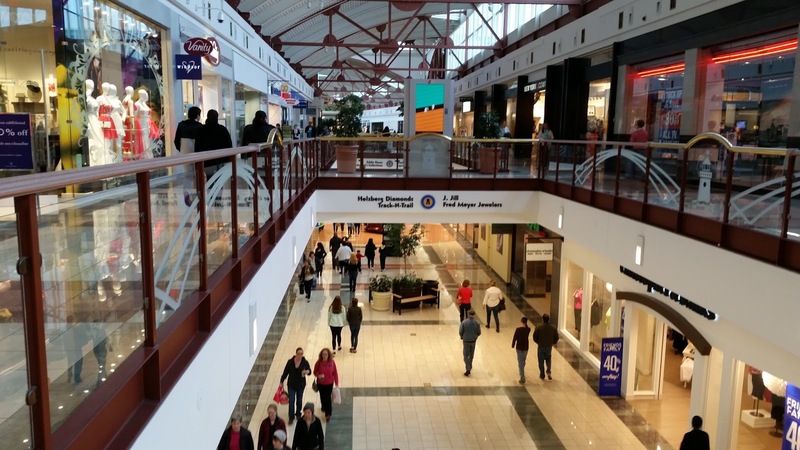 I headed out to the mall between feedings to take a quick break and pick up a few things. 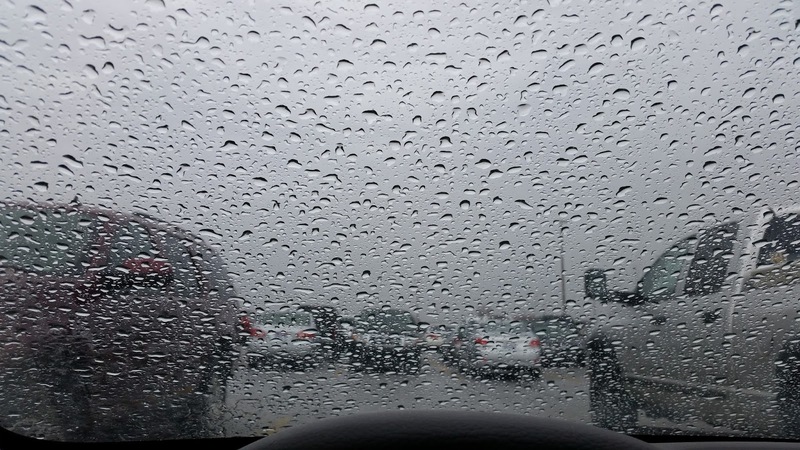 It's really convenient living 5 minutes from the mall so I don't have to waste a lot of time driving to get somewhere. It started to snow and then rain a bit. 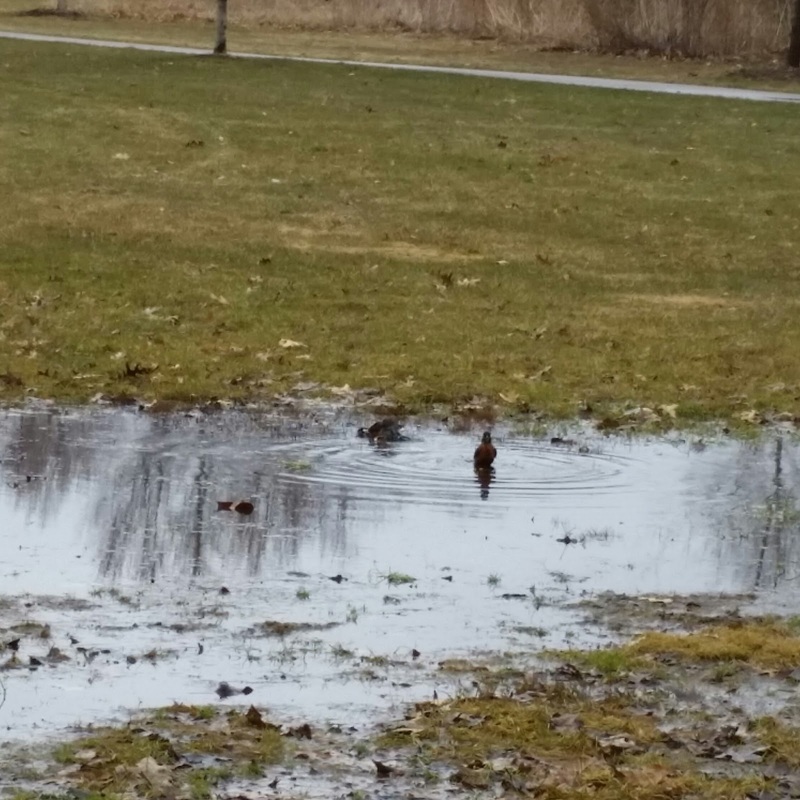 Not the prettiest of days, but at least it was warm enough to be rain instead of snow. Quinn noticed the felt mario toys hanging above him in his swing, so I pulled them down and attached them to the side for him to play with. He enjoyed them for a little bit, until it seemed like the toys were attacking him. Quinn had a really rough night. And this morning he was pretty fussy as well. He just wasn't happy with anything we did. So Chris decided to try putting some plastic balls he'd bought in Quinn's crib and create a ball pit. The little guy loved it. He stared in fascination at all the colors. He tried to mouth them all. He kicked them and pushed them with his arms. And when it got to be too much we cleared them away from his face and arms and he just hung out a little absorbing everything and taking a break. Chris even tossed in the little Spider-Egg (as well call it) for Quinn, since he seems to like to push it with his arms and watch it roll back to him, since it's weighted at the bottom. It was probably only 15 minutes of play before he was ready to be done, but he was fascinated enough that we'll definitely do this again. He will probably really love it when he's older and can actually pick the balls up. 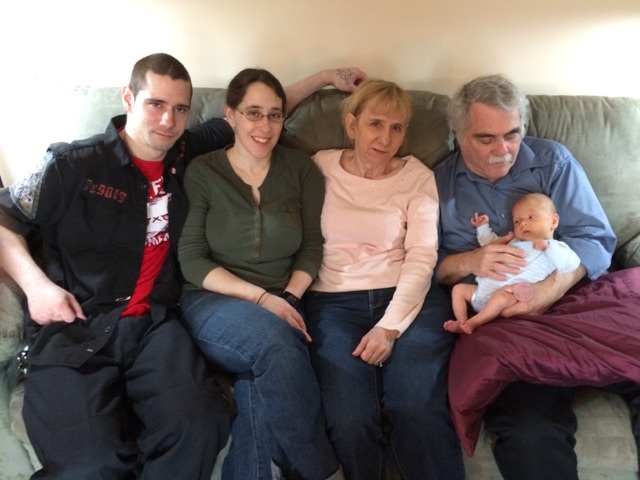 My parents and brother came out to Grand Rapids to see Quinn (and us). 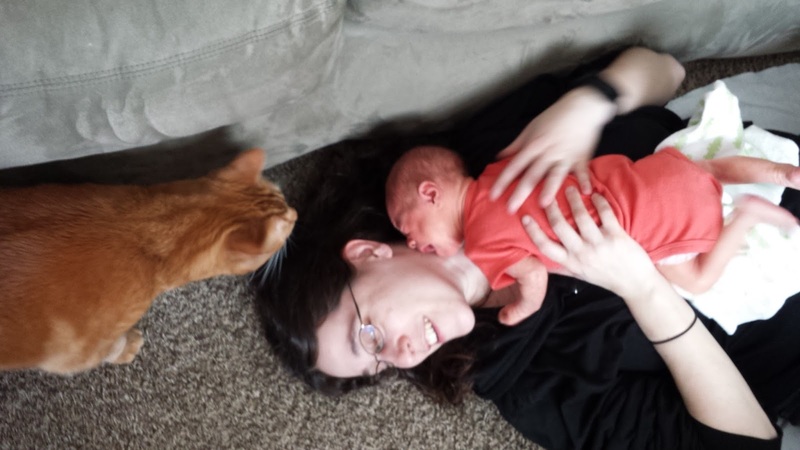 He's much more interactive now at 5 weeks than he was at 2 weeks when they saw him last. So we had some tummy time and some block tower destruction time on his back. He was pretty much the center of attention for the day. 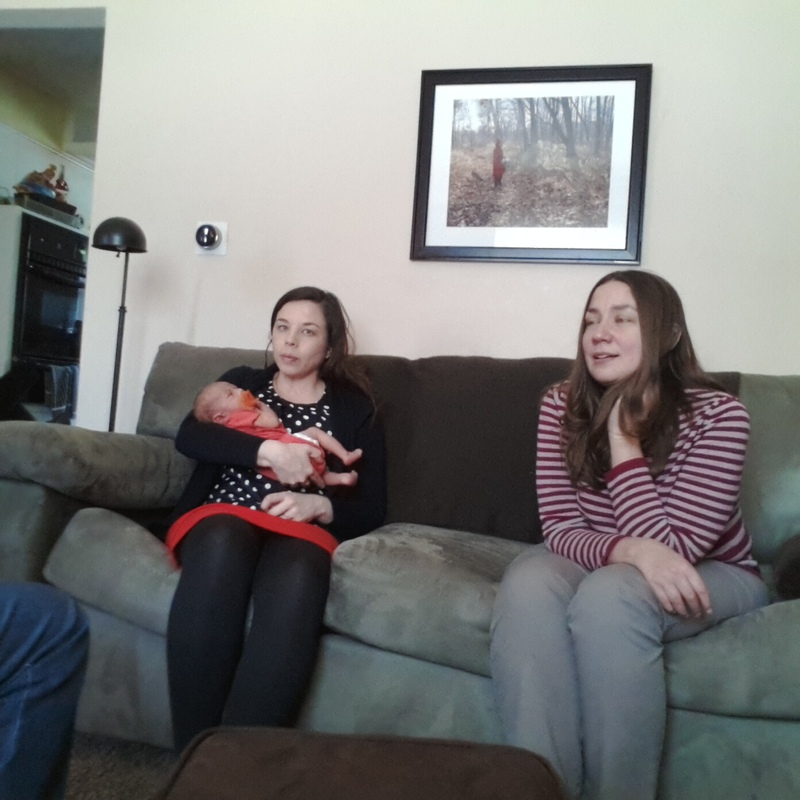 It was good to have everyone together, although Quinn wasn't keen on looking at the camera. But that's ok. In due time. It was a long day, so after his late afternoon feeding he passed right out. It's still cold outside, but sunshine makes all the difference between a depressing overcast day and one that is bright and cheerful. Awhile back we moved Leki's tower into our bedroom. Since then he's mostly lived in the basket at the top of the tower. In the last day or so he's started using this cube to lay in as well, which is pretty nice. 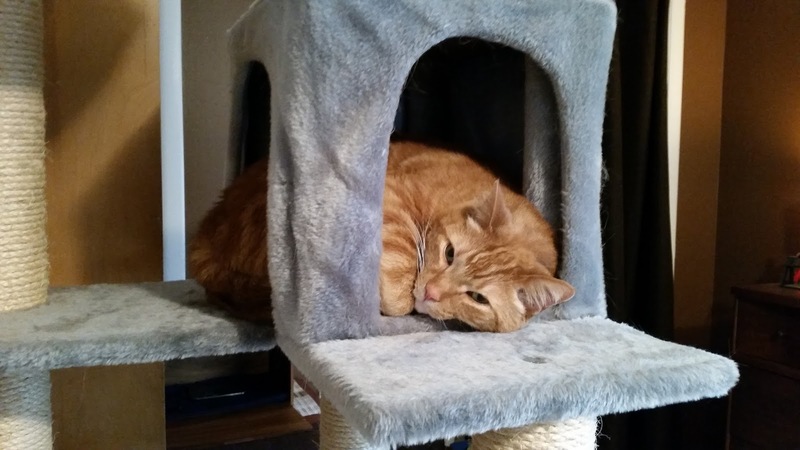 For years he barely used the tower and then once we moved it into our room he fell in love with it. I guess all it needed was a new location. I'm glad he's still able to enjoy the giant piece of furniture. 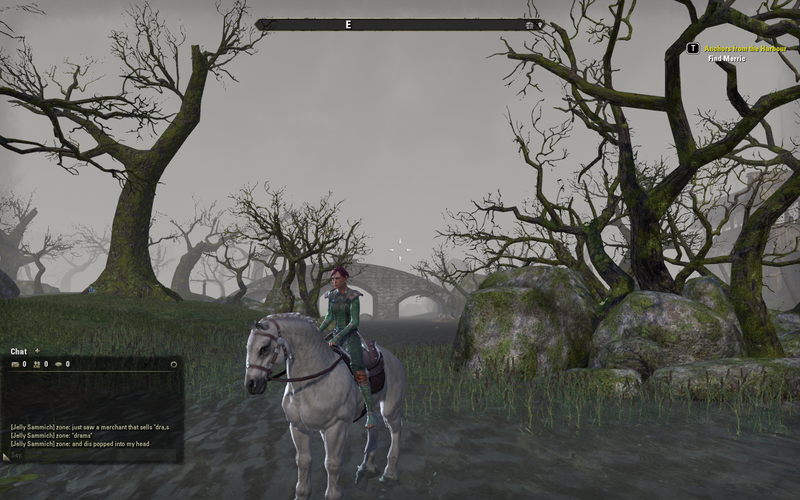 I managed to log in for half an hour and do a quick quest in Elder Scrolls Online. 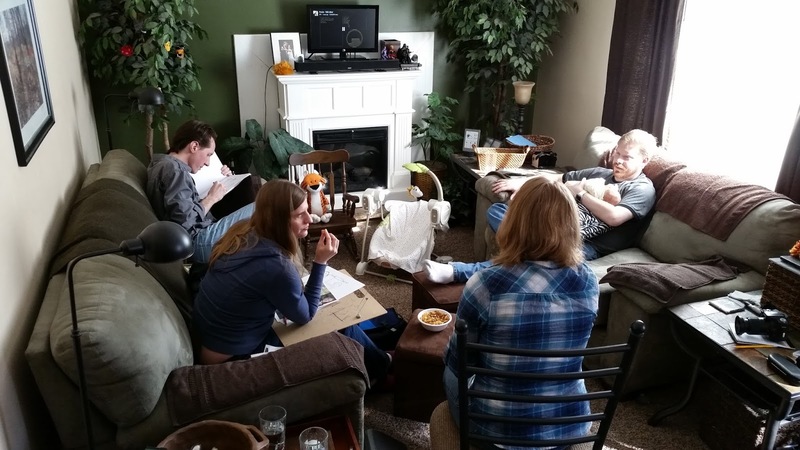 Now that Quinn is going a little longer between feedings I can do a few more things, like go to the store for longer, take a walk, or play a video game. Dan and Lorelei came over for a little bit this afternoon. 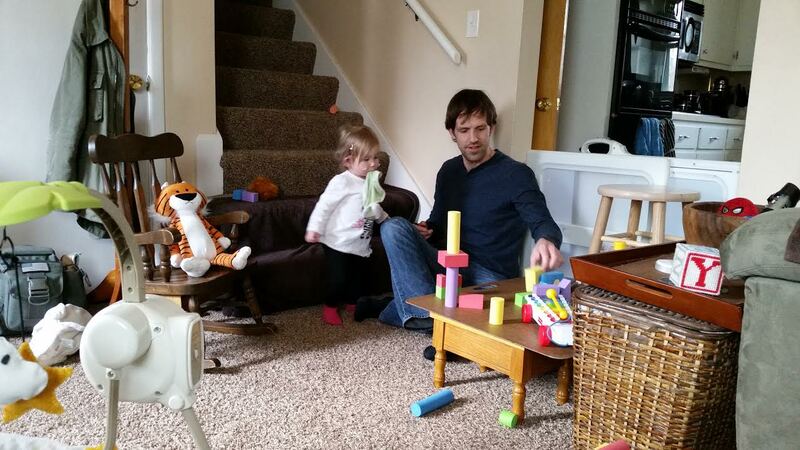 It took her a little bit to be comfortable around Chris (well, his beard mostly) but once she was comfortable she enjoyed playing with the foam blocks and other toys we have. Leki is starting to get bolder around Quinn. 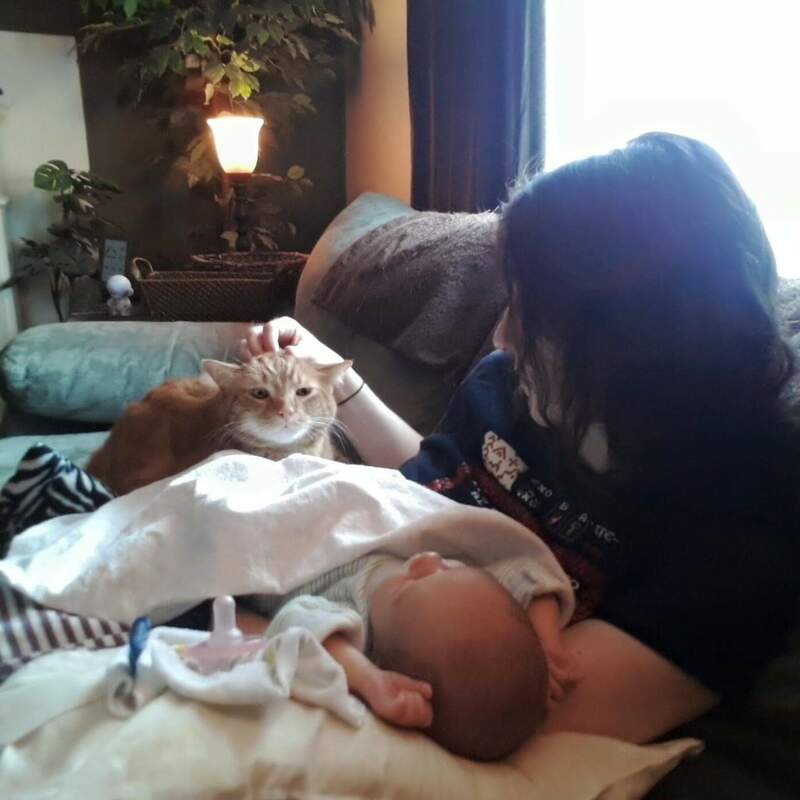 He settled on a pillow next to Quinn and sat there for a bit while I pet him. 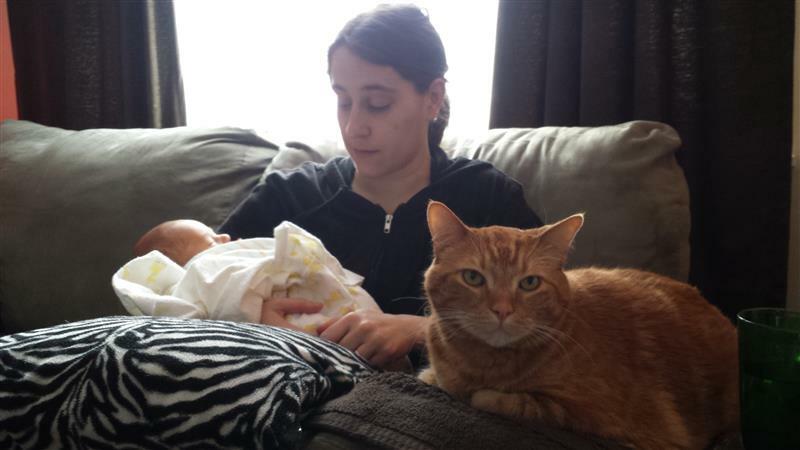 He still doesn't trust the baby though. 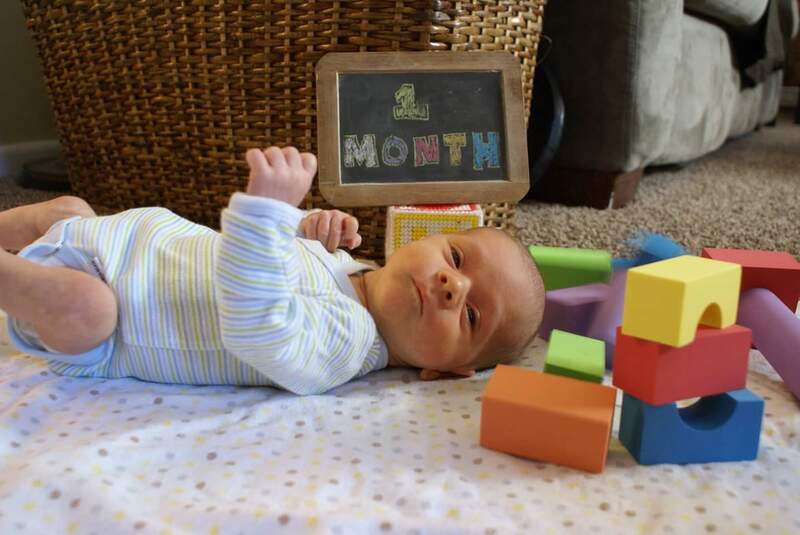 Quinn turns one month old today. We had a pretty good day. 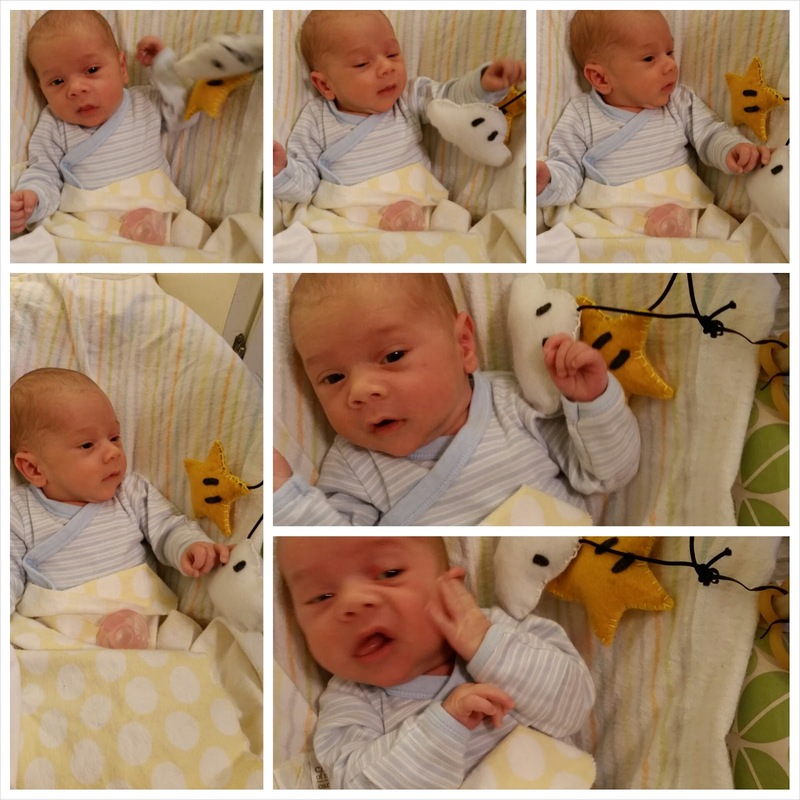 He slept for a four hour block at last night and during the day we played with foam blocks and had lots of tummy time. 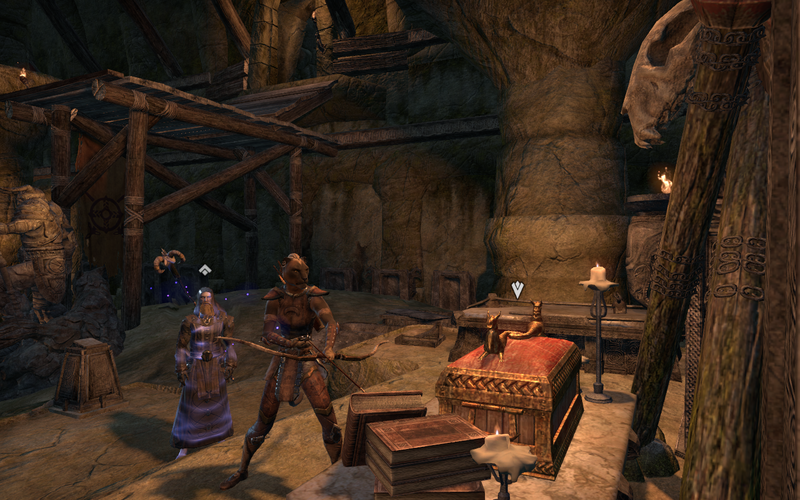 Elder Scrolls Online went free to play today, making it Elder Scrolls Online Unlimited. You can still pay a monthly subscription and you get points to spend in their online shop, as well as experience bonuses and what not. 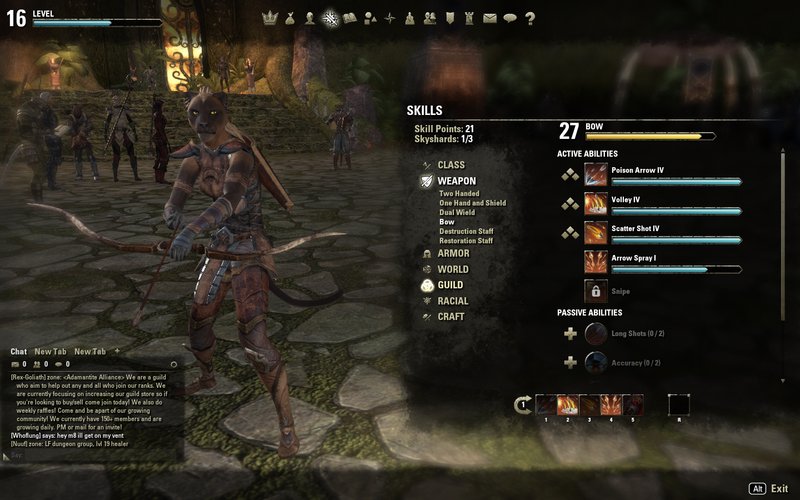 But for me, being able to log in and play occasionally for free is perfect. It's a perfect companion to Guild Wars 2, which I still pop into and play. Of course, since it's been almost a year since I've played the game last, there have been numerous updates. And all of my characters skills have been reset. So I spent what little time I did have to play setting up one characters (I didn't even look at the others). It took me so long mostly because I'd forgotten what certain things did. It will be nice to pop in occasionally and run around in the game. It's a beautiful game and I did enjoy playing it last year, it was just hard to justify the subscription with how little time I could devote to it. And now I have even less time. So free to play works perfect for me! 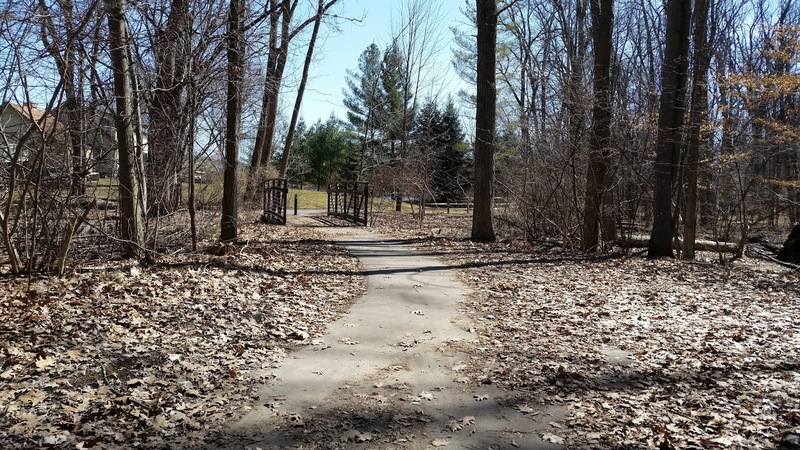 The weather got up to 60 degrees today, so we took a walk in the morning and afternoon. 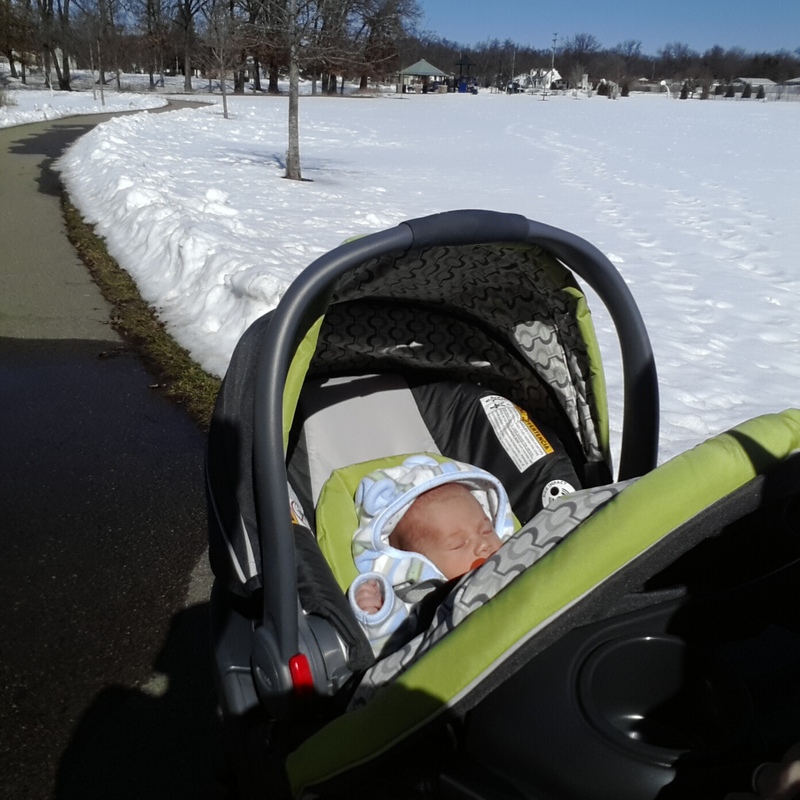 Both times Quinn was more awake than the last few days, although the stroller ride put him to sleep easily. 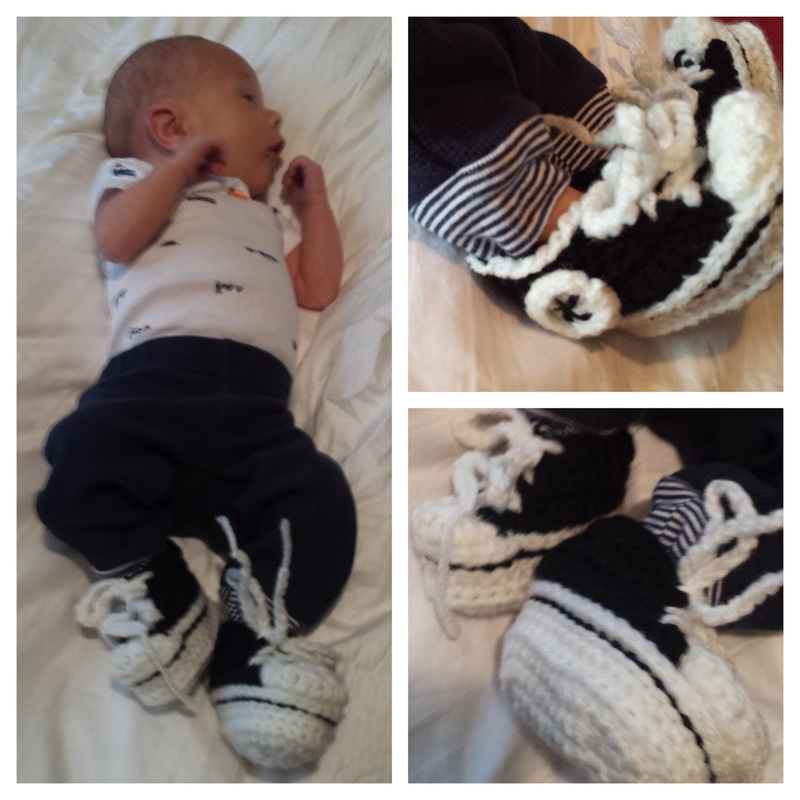 Quinn got to try out the awesome Chuck Taylor Converse booties my friend Kati crocheted for him. They're a little big, but that's ok. Everything is a little big on him at this point. they kept his feet warm, and thats all that matters. Today was a pretty quiet day. 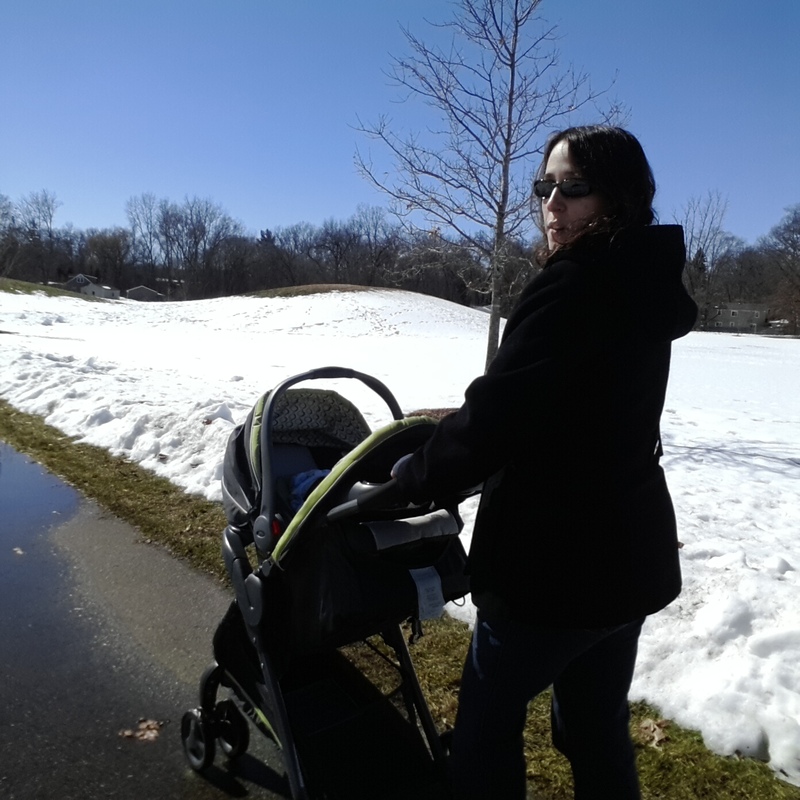 We had a lot of awake time with Quinn in the morning and were able to take a nice stroll around the park in the afternoon. I even managed to sneak in a nap afterwards! 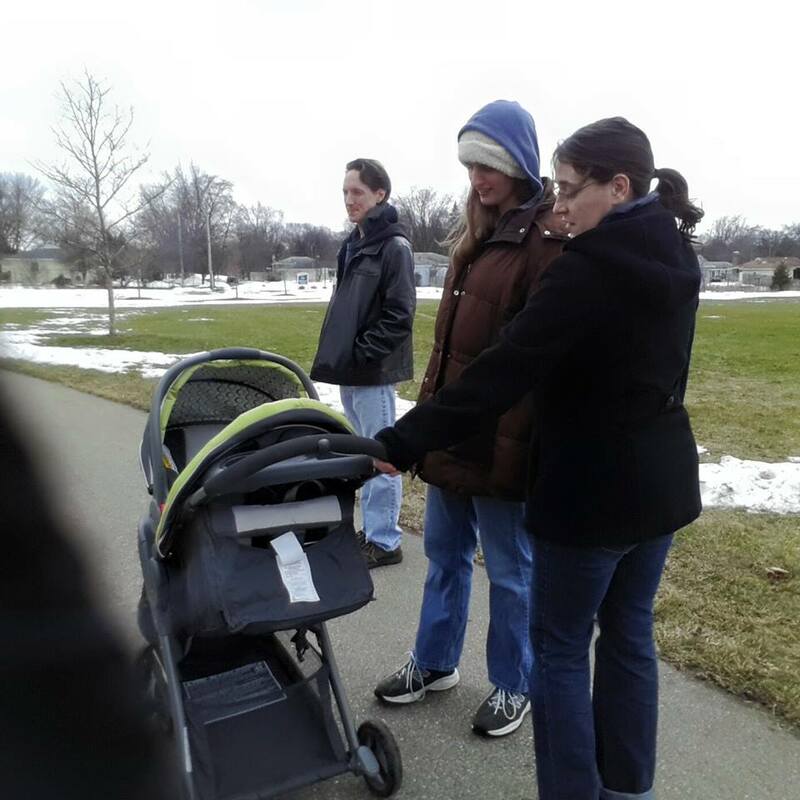 Adam and Comfort came over this afternoon, so we took a stroll at the nearby park right after Quinn got done eating. After that we managed to watch a whole movie, only having to pause once to feed him again. 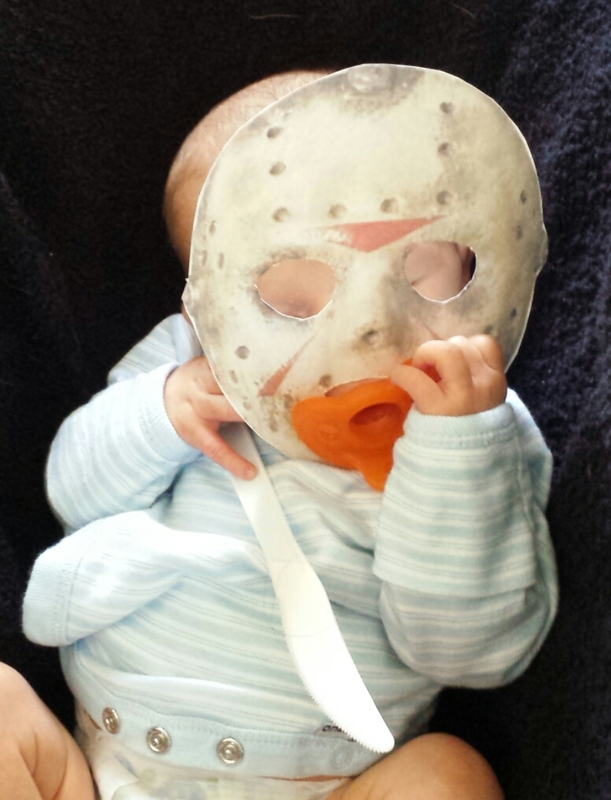 He didn't really start to get fussy until later in the evening when they were going home. All in all a good day for everyone! 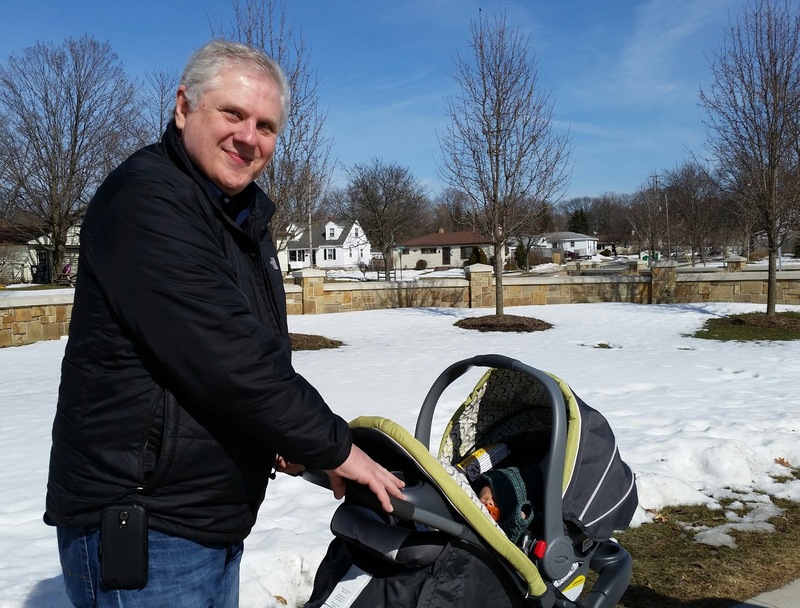 Chris's dad came out today to visit and hang out with Quinn. 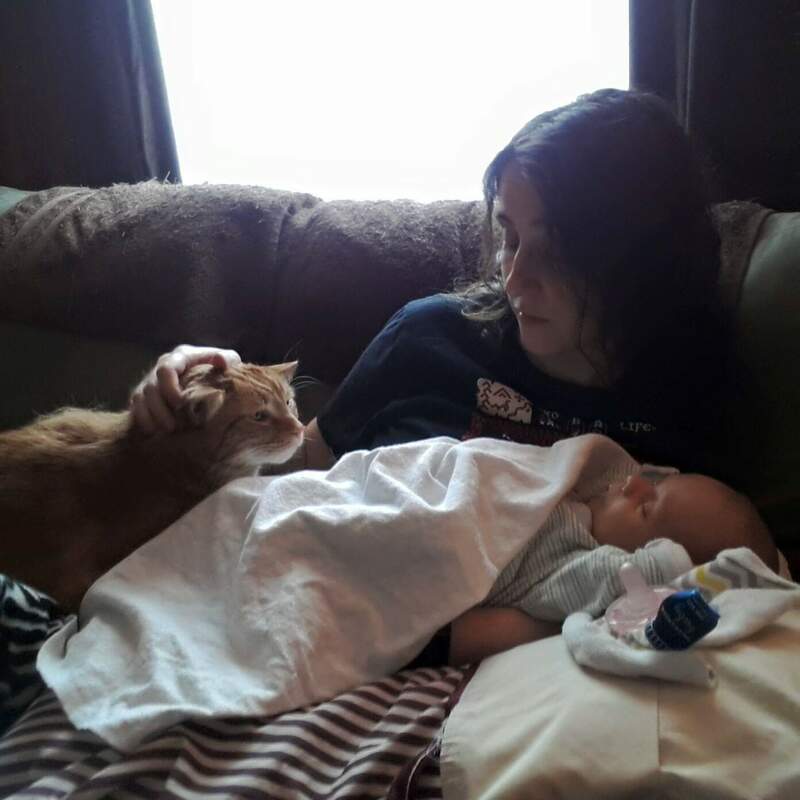 We got to visit for quite a while and he was able to hold a napping Quinn for a bit. 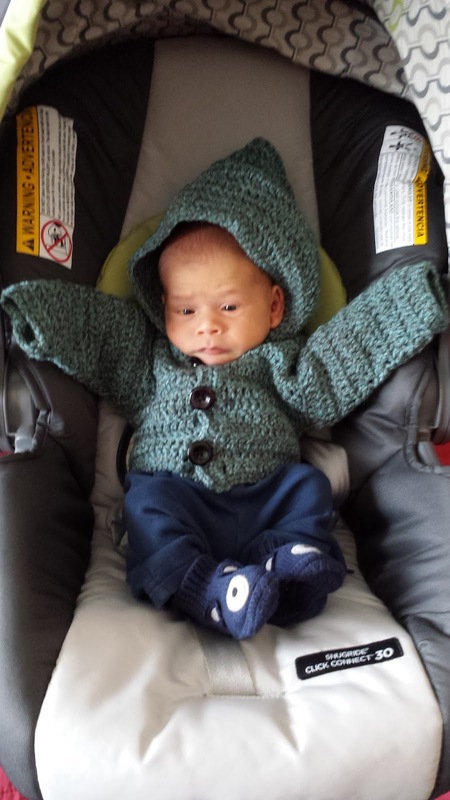 After lunch we bundled Quinn up in the hoodie my friend Kati crocheted for him. He's still a little big for a lot of clothes, but he's getting there. So we took him around the park once to get out and about. He was nice and toasty and when we got home he was actually a little sweaty. Probably from being in the sun with so many layers on. 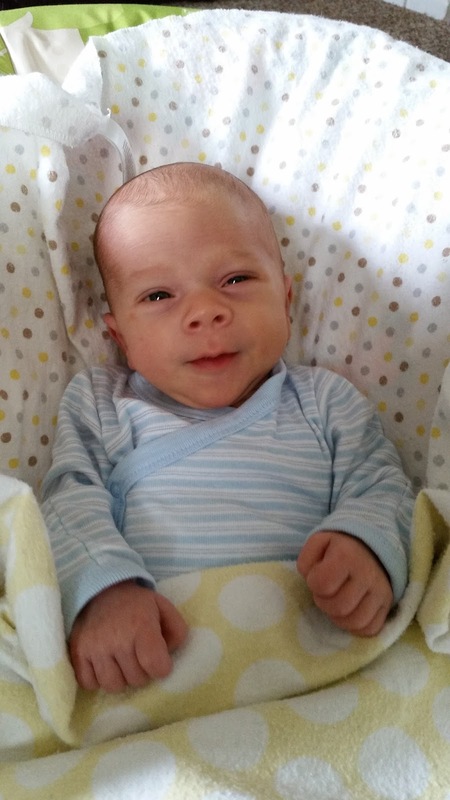 I think he enjoyed pushing Quinn around and seeing the little guy in action, even if that action was mostly napping. 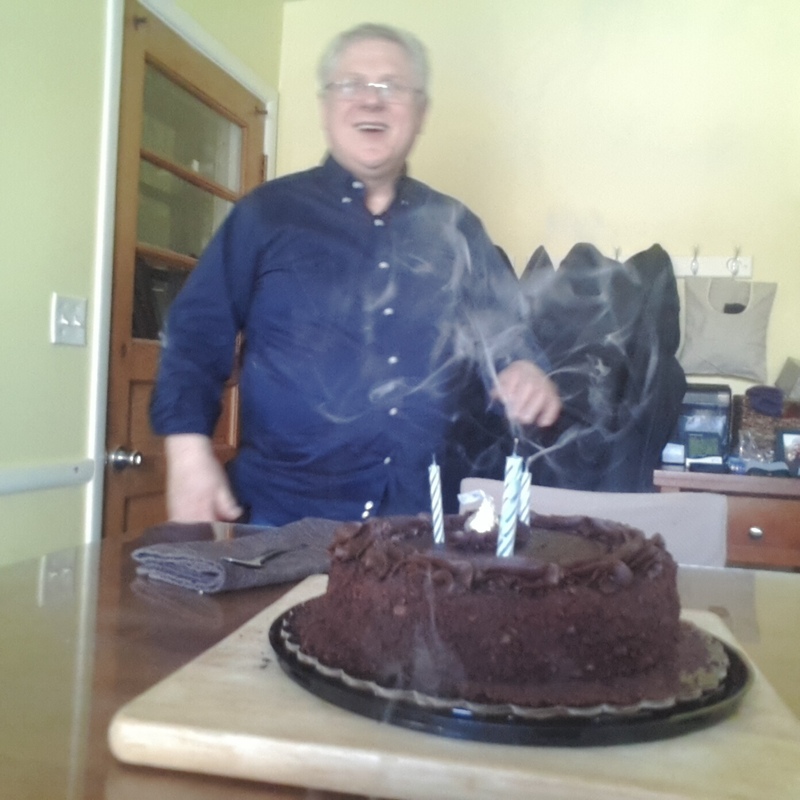 And we had a chocolate cake to celebrate my father in law's birthday from last week. Hooray for cake! And took him out to the local park. He slept through the entire trip. It was good for us to get out of the house together though. Every day is filled with nap time. 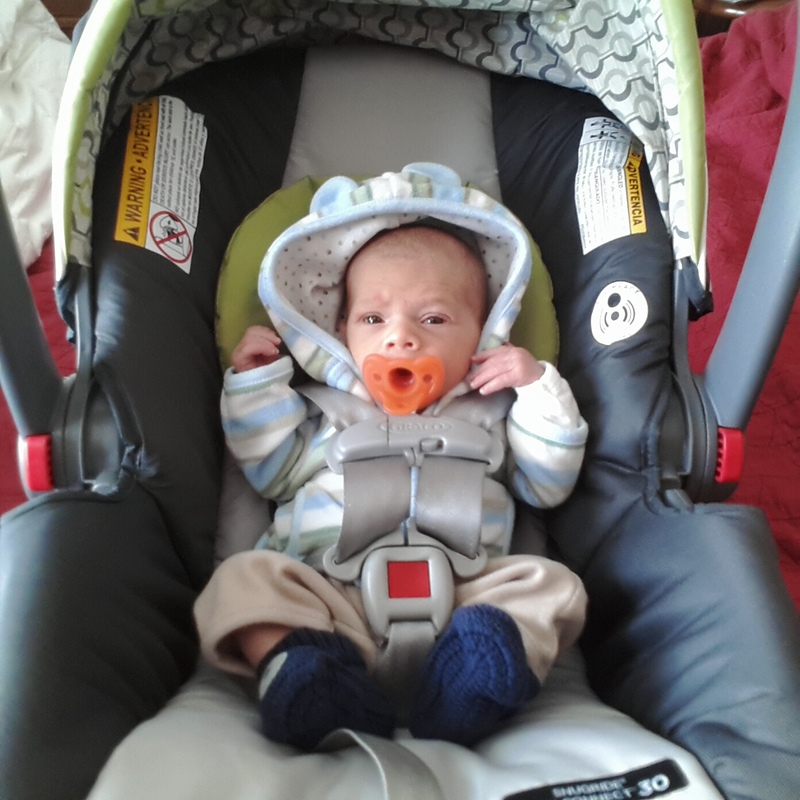 Quinn had his second doctor's visit today to check his weight and make sure everything is looking good. So we headed out late in the morning for that. 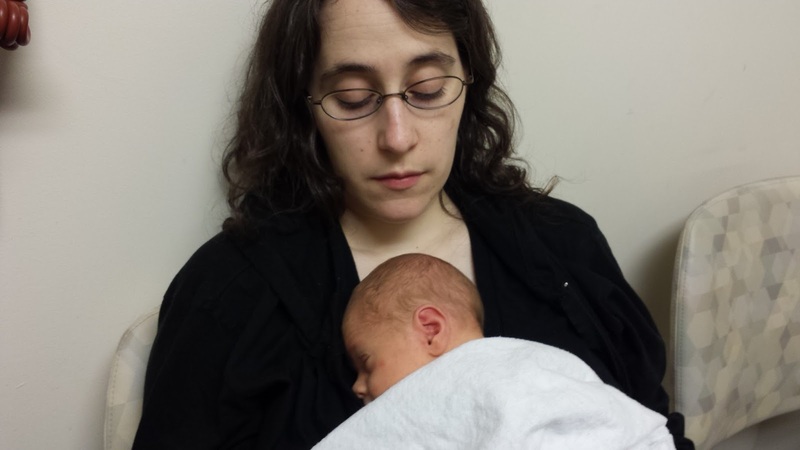 He was pretty well behaved (and in a milk coma) for most of the visit, so it was pretty peaceful. His next appointment in a few months will involve shots, so I know he's going to be grouchy for those. He started to wake up in the afternoon and be fussy. 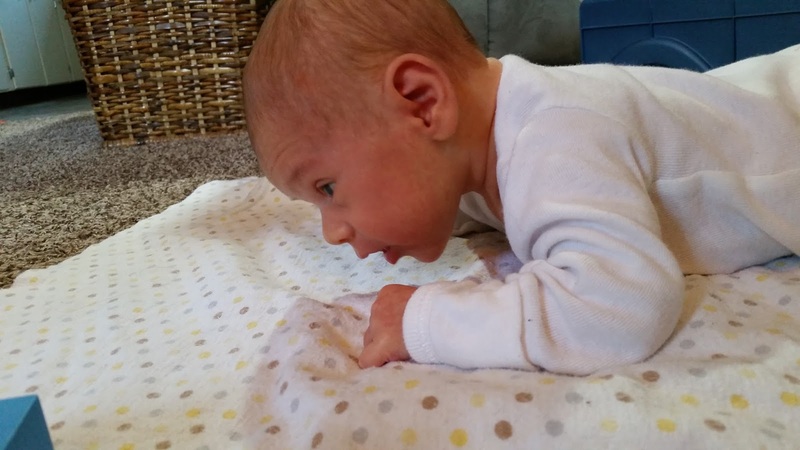 He gets bored of being on his back for too long, so I try to carry him upright or lay on the ground with him in addition to his normal tummy time exercises. When I was messing with him later in the afternoon he wasn't having it, as you can see. After work some co-workers of mine (Autumn and Kelli) stopped by to meet him and see how things were going. It was nice to catch up with them and see them. 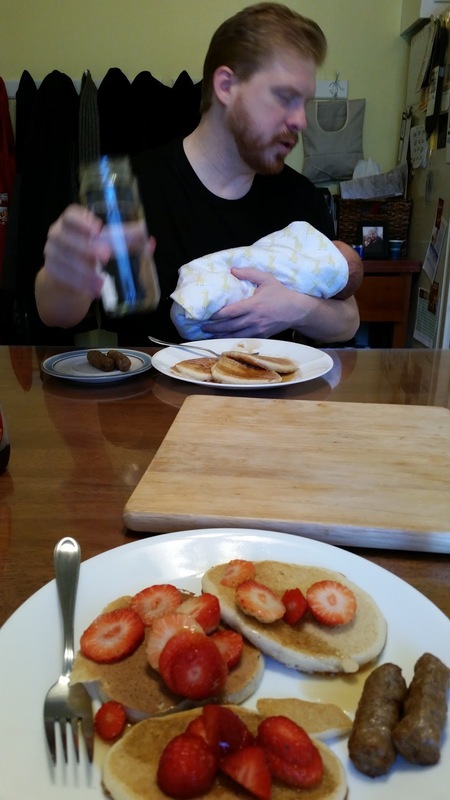 Quinn was pretty relaxed this morning so we tried to eat breakfast all together. It worked out alright. It will be more fun when he can sit up in his highchair. In the afternoon Adam, Comfort and Corinne stopped by for a few hours to hang out. It's been awhile since we've seen Corinne, so it was awesome to see her. 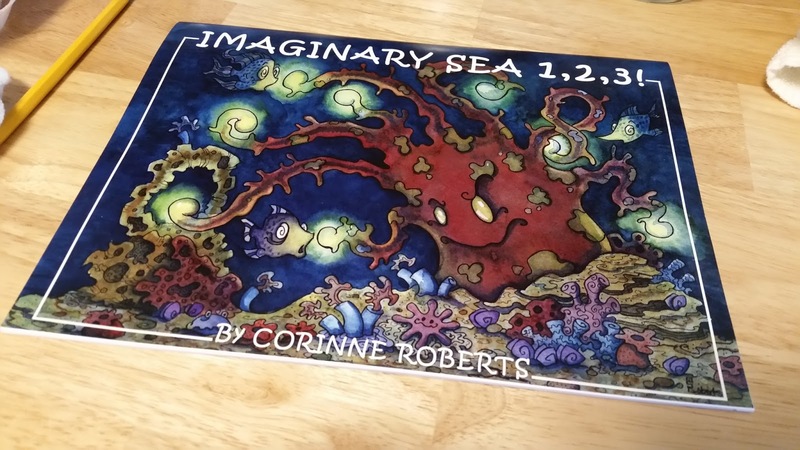 Plus she gave us a copy of her children's book, Imaginary Sea, 1,2,3! 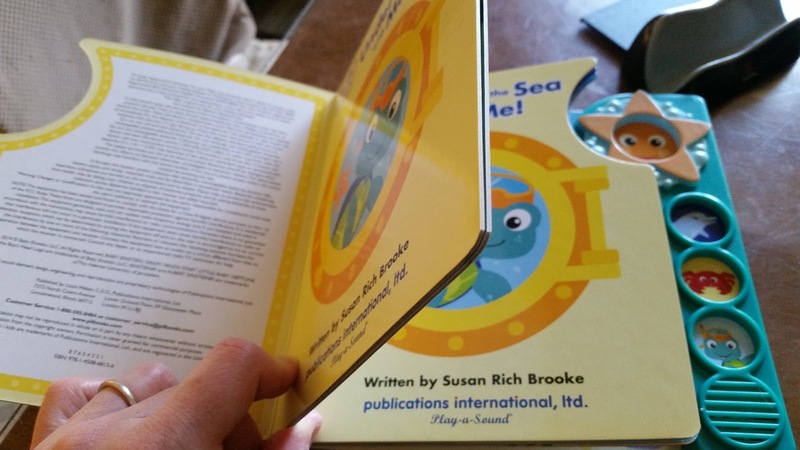 It's an adorable book with beautiful watercolor illustrations. I look forward to reading it to Quinn and having him count along when he's older. 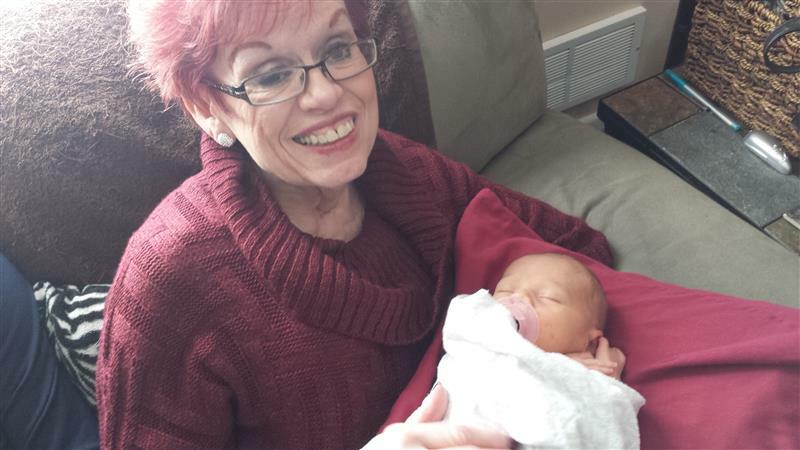 Chris's mother and brother came out today to meet Quinn for the first time. His mom has had an iPad set up so we've been able to FaceTime with her every few days but this was the first time she was actually able to hold him. 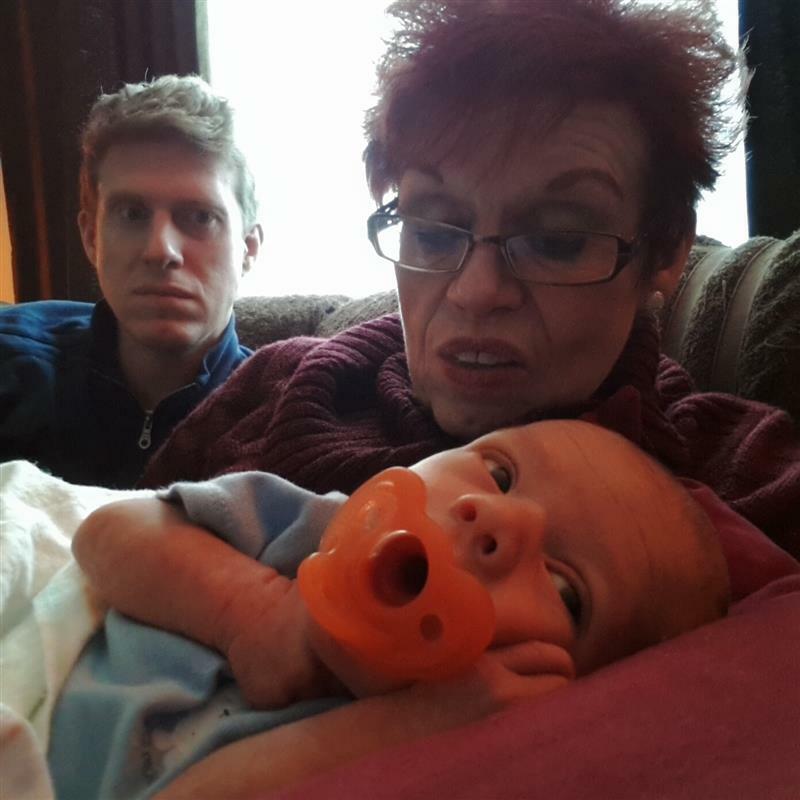 It was a nice visit and both Scot and their mother really enjoyed spending time with the little guy. He was passed out a lot of the time in a milk coma, but they did get to see him fuss and look around a bit as well. 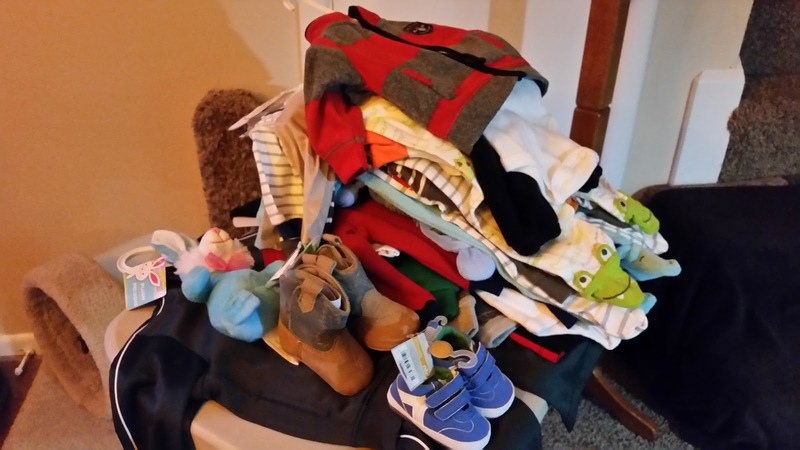 They also brought with them a gigantic pile of clothes for when Quinn is older from Chris's aunts and cousin. I now understand why my friend Lori gave me so many clothes still on the hangers with tags. There is just no way he's going to wear everything we have for him. Plus at this point a lot of even newborn stuff doesn't fit him because he's so small. So 3 month outfits are probably more than 3 months away before they fit, let alone 6 or 12 month.